Do you want to feel better equipped to converse more effectively with your boss and your work colleagues? Discover how to unlock your inner potential and master the art of emotional intelligence. Manage your own emotions; reduce negative thoughts so that they don't overwhelm you and affect your judgement. Keep your cool under pressure to reduce your stress levels. How we handle stressful situations can make the difference between being assertive and being reactive. 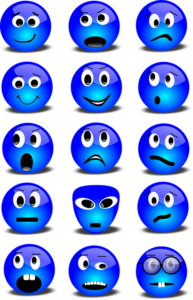 Express difficult emotions when necessary; it is important to set our boundaries appropriately, so that people know where we stand, using phrases like: “I feel strongly” or “I feel uncomfortable” or “I feel disappointed”. Stay proactive, not reactive in the face of a difficult person; before you say something, you might later regret, take a deep breath, count slowly to 10 and use the time to work out a better way to communicate the issue. Bounce back from adversity; how we think, feel and act in challenging situations can make the difference between hope and despair, optimism and frustration, victory and defeat. Know your strengths and weaknesses; focusing on your strengths helps you make choices in life, while over-focusing on areas of weakness could prevent you from getting the most out of life.